Concrete boom truck pumps are an essential piece of equipment for all types of construction sites and projects. 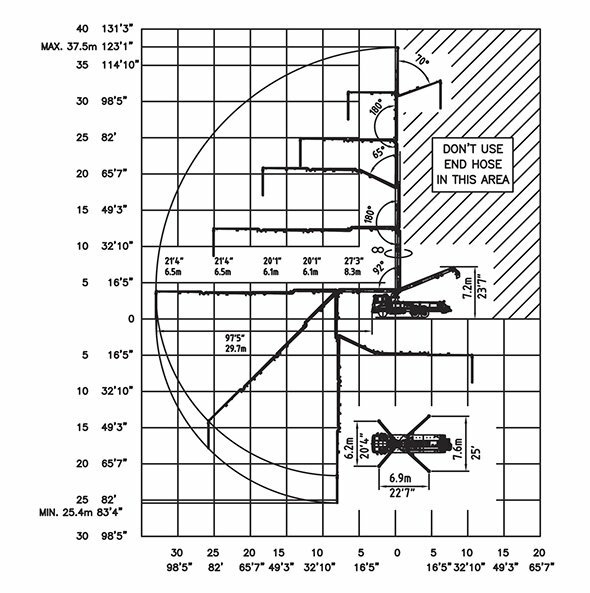 Whether you’re laying down a driveway on a residential property or building a multi-level commercial office complex downtown, it’s crucial to choose a truck-mounted boom pump suited to your applications. DY Concrete Pumps Inc. offers a broad range of concrete boom truck sizes to ensure an efficient and effective fit. We call on more than 30 years of industry experience to deliver solutions that completely solve your concrete mixing and distribution challenges at a price that makes sense to your bottom line. When you’re in the market for a short to mid-size concrete boom truck pump, DY carries a variety of top-quality solutions in stock. Our 38-meter concrete boom pump offers a compact design and exceptional versatility for tackling residential and commercial construction projects. Units are extremely mobile featuring a Z-type boom capable of low profile folding and unfolding for working in tight confines. While many residential builders do not budget for a truck-mounted concrete boom pump, the reality is it’s the best choice for many projects. A 38-meter, ZR concrete boom pump provides the flexibility to work faster, reduce material costs and deliver improved results for everything from sidewalks and slabs to patios and parking areas. Our 38-meter boom pump is an exceptional choice for builders and contractors with both residential and commercial jobs. The ZR pump is designed for high-productivity with the ability to deliver a consistent flow of concrete to large foundation and elevated positions without the use of buckets and cranes. The narrow profile of our truck-mounted boom pump allows for maneuvering around urban areas and working in tight and confined spaces. 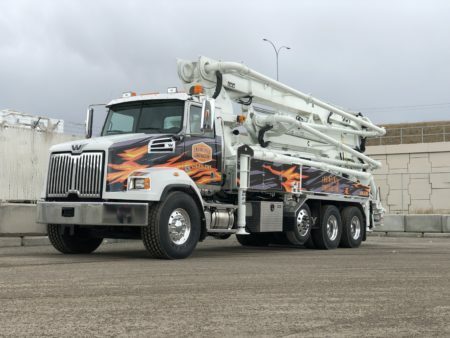 An additional feature of our concrete boom trucks is our 360-degree rotating boom which eliminates the need for excessive maneuvering of the truck around the job site. DY prides itself on offering the highest quality products backed by customer service dedicated to your success. 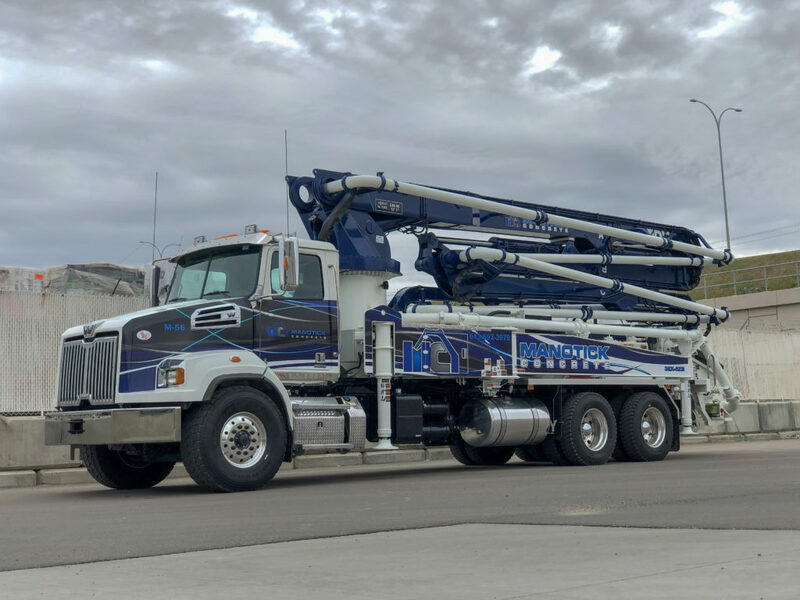 We strive to be your sole source for all your concrete needs by providing everything from expert assistance choosing the right concrete boom truck sizes and flexible financing solutions to locally-serviced parts and support throughout the U.S. and Canada. Learn more about our ZR 38-meter concrete boom pumps for sale today. Contact us by submitting our online form to request to speak with a friendly and professional representative.